A leaf blower is such a handy tool in the life of a yard owner. 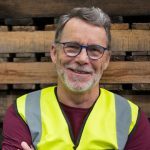 However, finding one that is easy-to-use, durable, environment-friendly and effective is not always an easy task. 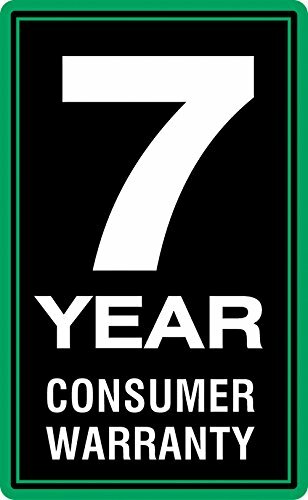 There are so many brands and models on the market and only a few fit the bill. 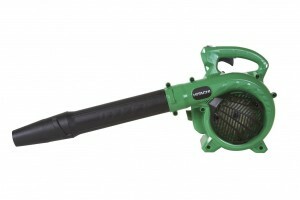 One of the top units popularly traded is the Hitachi Leaf Blower (Model: RB24EAP). This is a gas-powered blower that is marketed as light yet capable of delivering a powerful 23.9 cc motor power – but how true are those claims? Here’s an unbiased review to help you get an inside scoop of the product’s true value. 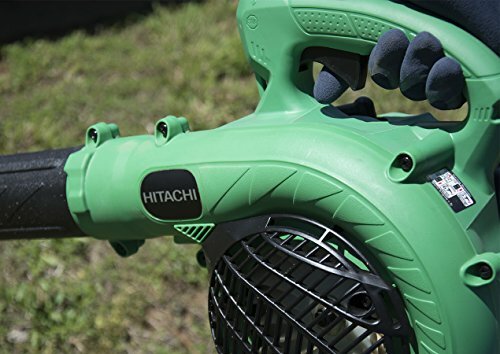 The Hitachi RB24EAP is a hand-held leaf blower that features 23.9cc, 1.13 horsepower. It has an air capacity of 441 CFM and velocity of 170 MPH a combination that is fit to deliver excellent debris movement. Besides that, the two-stroke blower is enhanced with a purge primer, an auto-return stop switch and a two-finger throttle lever for easier operation. Completely lightweight and balanced, this Hitachi gasoline powered machine is responsive and adaptive to different working conditions. It has a PureFire low emission engine that is designed to minimize fumes to the environment, making it safe and environment-friendly. You can use it to remove dried up twigs and leaves, cleaning your driveways, sprucing up your sidewalks and lawns thanks to its incredible 170 miles per hour airspeed. If you take a closer look at it, you will also discover that its design and sleek appearance are optimized for saving space. From a reputable reviewer’s perspective, this machine passes the test of comfort and convenience. Its thoughtful design and advanced engine work effectively to reduce stress on the arms and wrists. Of course, that’s good news to anyone looking to clean a large area. 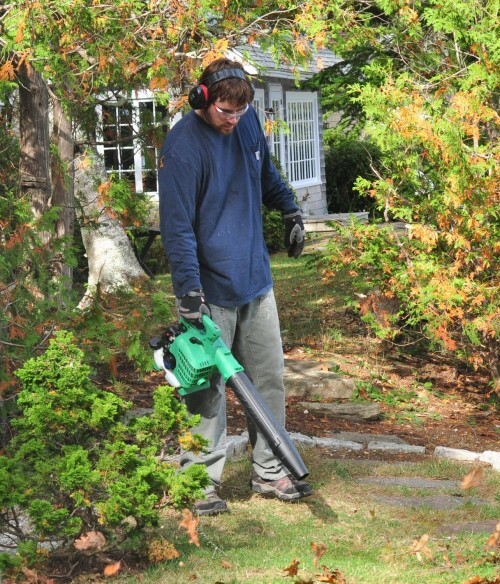 The leaf blower is powered by a two-stroke engine with a max power of 1.13 HP. The system is designed for 23.9 cc displacement with an air volume of 441 CFM and velocity of 170 MPH. Its fuel tank capacity is an incredible 17.6 ounces feeding on a gas to oil ratio of 50:1. This feature is important in enhancing air quality levels and providing efficient trash movement. The main advantage of a 2 stroke engine is that it is cheaper to run, it is gas-powered and still light enough to carry around. Thus, this leaf blower is able to remain “small yet awesome”. The RB24EAP uses a revolutionary purifier low-emission built-in equipment to keep the environment clean. 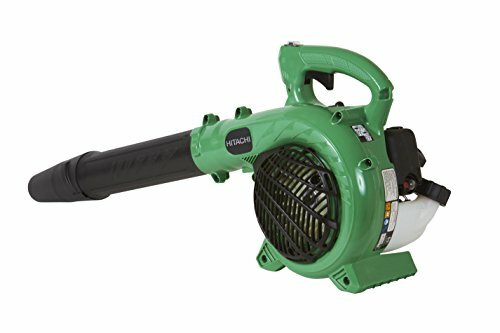 It is therefore not a surprise that the leaf blower is categorized as a Tier 3 machine in line with the stringent environment safety regulations of EPA and CARB regulatory bodies worldwide. The engine strictly uses the branded 89 octane unleaded gasoline combined with genuine two-cycle oil. Alternatively, if the oil is not available, one can replace with any anti-oxidant added quality oil expressly labeled for air-cooled 2-cycle engine use. The manufacturer recommends mixing fuel and oil in a separate clean container before filling the fuel tank. RB24EAP features a well-balanced design for comfortable usage and easy operation. It has a large 2-finger throttle lever, which is conveniently positioned to reduce strain on your fingers. Interestingly, despite carrying all this technology with it, the device weighs a paltry 8.6 lbs meaning no special form of transport is needed to get it where it is needed. You just carry it with you. As the machine is durable and cheaper to run on gas, it is expensive to buy as compared to electric ones. Only a handful of leaf blowers can cope with damp leaves without blocking, and are also easy to operate. 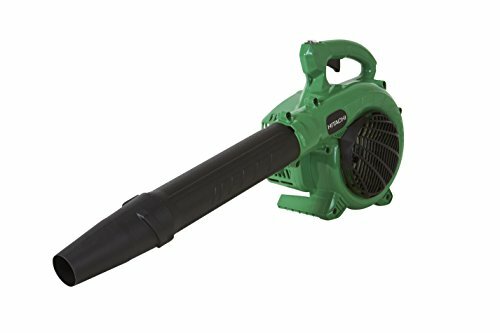 Going by this criterion, the Hitachi Leaf Blower RB24EAP stands out from the pack thanks to its budget-friendliness, portability, and flexibility. This machine does its job with minimal qualms. Hi baby Your article is so helpful for me,i like it,thanks!